On February 7, 2001, Amanda Tissen was broadsided by two car thieves who had stolen a vehicle and were running from the police. Although her husband only suffered whiplash and bruising, thirty-eight year old Amanda was trapped in the vehicle for about an hour until the fire department was able to free her. She sustained a compound fracture of her left humerus, multiple fractured ribs, a collapsed left lung, and a ruptured diaphragm. During the next two days, Amanda developed breathing problems. On February 11, 2001, Amanda was put on the vent and sedated; she developed pneumonia and was diagnosed with ARDS. Amanda has no memory from the scene of the accident until March 2, 2001, when she became aware of her husband Tony, asking her to focus on his eyes. She was weaned from the vent on March 6 and her trach removed. By March 9, Amanda was discharged from the hospital. When discharged, Amanda was told that she would be fine within four weeks. Contrary to this, over the next few months, Amanda experienced a roller coaster ride of depression, elation, paid, and emotional stress. She believes that much of this could have been alleviated had she had the knowledge and access to information regarding her ARDS and it’s aftermath. 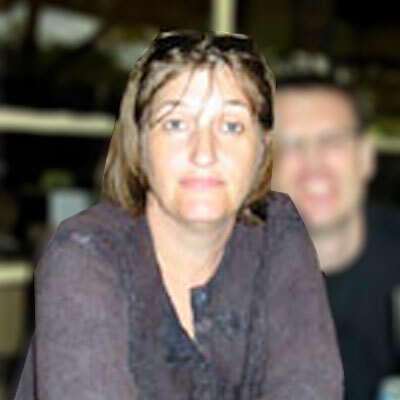 Amanda lives with her husband Tony, and her three children Aleisha, Damian, and Tarryn in Johannesburg, South Africa. Amanda wishes to reach out to, and help people finding themselves in ARDS crisis. No should ever be in a position of not knowing where to turn.